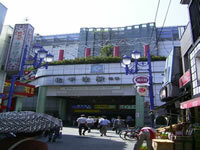 The downtown of Kitasenju consists of shopping arcades and residential areas. Senju is famous for the scene of Kinpachi-sensei, one of Japanese TV drama series. 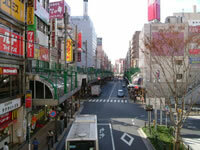 The first store of Ito-Yokado, a Japanese General Merchandise Store, was in Kitasenju. Marui a chain of department stores, Art Center of Tokyo, and the Senju Campus of Tokyo University of the Arts are build by redevelopment. Because of the Lines, Kitasenju station is important for connections. The fair includes street performances, international food booths, and drawings. The festival is held by Adachi-ku in the middle of October.